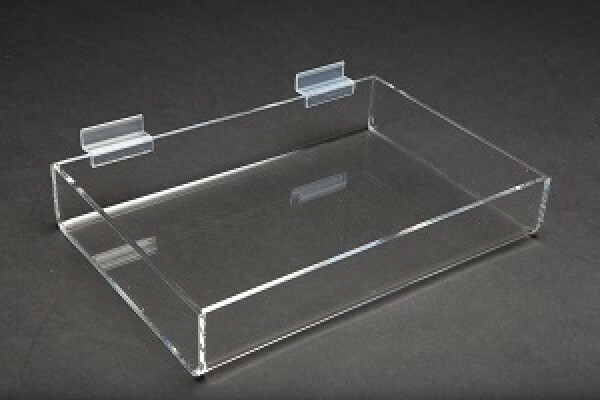 Acrylic slat wall display tray 2" x 12" 8.5 is translucent which makes it easy to see item availability and simple to clean. The container can be used for various presentations, including gems, beads, jewelry and other small items. 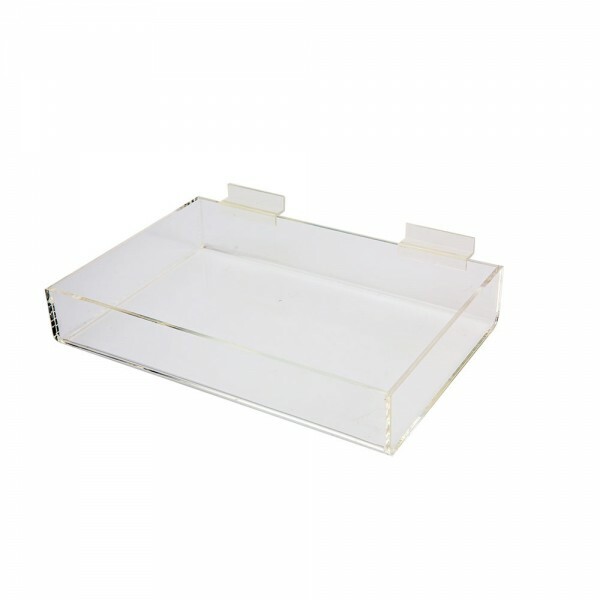 It has double slots to make display easy and take out and put into slat wall.